This new series replaces the SE510 series. Welcome to GOTOH’s Official website. Each Department of the factory of short videos put together. 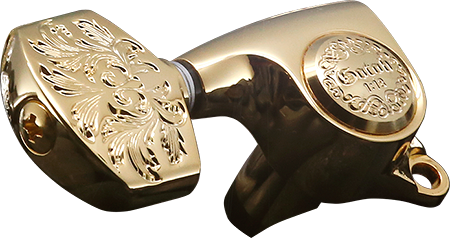 N (Nickel), C (Chrome), CW (Chrome White), GG (Gold), B (Black Chrome), CK (Cosmo Black), XN(X-Nickel), XC (X-Chrome), XG (X-Gold), XSV (X-Silver), SB (Solid Brass), SG (Semi Gold), HC (Honed Chrome), HG (Honed Gold), HCK (Honed Cosmo Black), MTG (Mat Gold). *The colors used for each series and product are limited. The ultimate finish, repels all water and dirt and gives inimitable look. 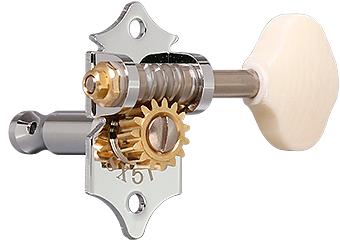 Lubri-Coat creating the machine head of the future. The ultimate post stays solid, even during arming or bending play. 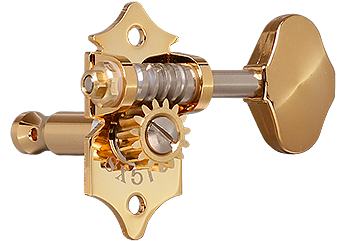 Magnum Lock uses string tension for its locking mechanism. 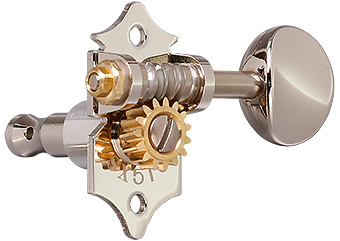 Thumbscrew-style locking tuner. It is simple and easy. Height Adjustable Post. You can get an ideal string vibration. 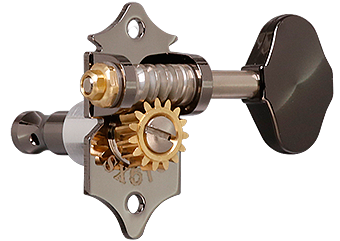 A revolutionary tuning machine combines the functions of H. A. P. and MG. Learn more of the available peg arrays and icon. Home | Company Profile | News | Catalog | FAQ | Contact us | Agent LocatinsCopyright © G-GOTOH Ltd. All Rights Reserved.